The City of Burlington is approx 1-hour from Niagara Falls and 1-hour from Toronto which makes it a great hub-and-spoke location with easy access to major highways. Skip to Best Places to Stay. Best Time to Visit. View Map. 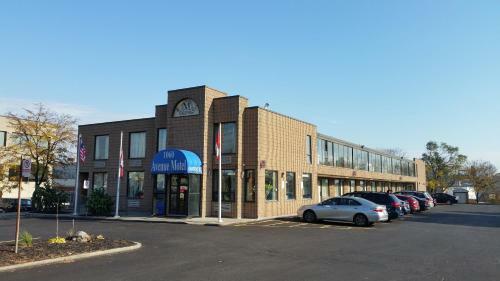 Just off Highway 403 this non-smoking hotel is 3.5 km from downtown Burlington Ontario. 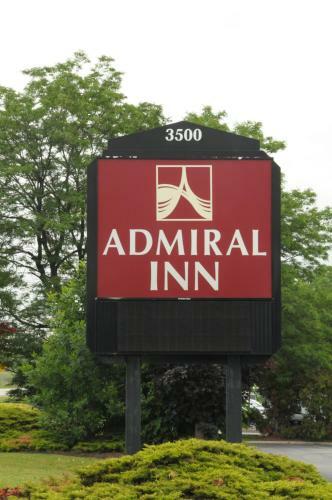 It offers a daily full hot breakfast fully licensed lounge and free Wi-Fi in all guest rooms.Admiral Inn features a refrigerator microwave and coffee maker in every guest room. Free Internet, Pets Allowed, Non Smoking Rooms. Currently as low as $77.82/night! 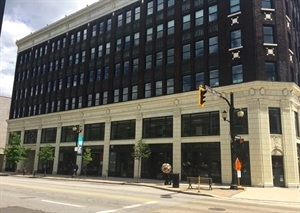 This boutique hotel is centrally located in downtown Hamilton Ontario a 10-minute walk to Jackson Square. 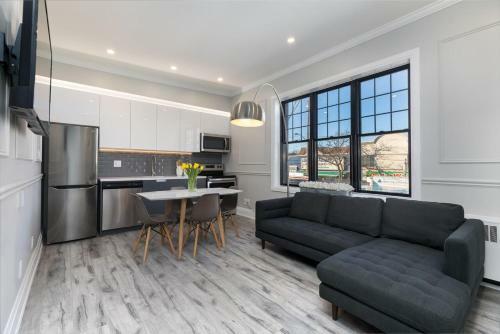 It offers a restaurant and bar free Wi-Fi and rooms with a refrigerator.The elegant rooms at Admiral Inn Hamilton offer cable TV a coffee maker and a seating area. Free Internet, Restaurant, Pets Allowed, Non Smoking Rooms. Currently as low as $81.73/night! A 15-minute drive from Toronto Golf Club this hotel features an indoor pool hot tub and a sauna. 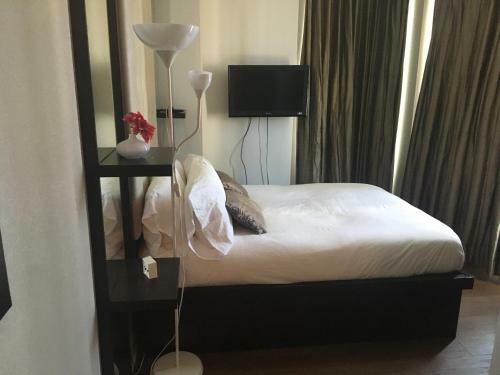 It offers free Wi-Fi and spacious air-conditioned rooms with cable TV. 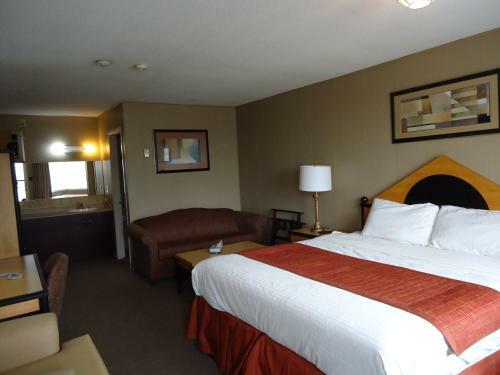 Free Internet, Indoor Pool, Pets Allowed, Non Smoking Rooms. Established in 2005, Al Ramzan Grocers is a premium grocery store with strong family values. A family owned and run business, a decade later remains true to its roots. Currently as low as $58.40/night! 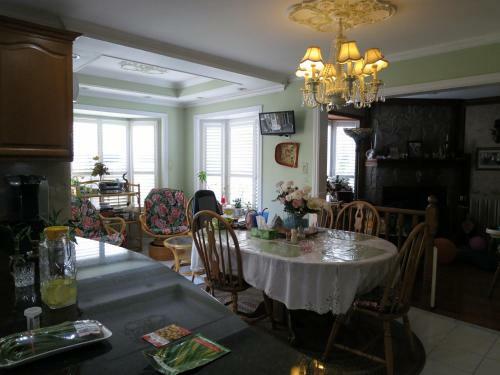 All Seasons Bed and Breakfast offers free Wi-Fi and a continental breakfast that can be enjoyed on the furnished patio. The rooms feature a TV and DVD player. A communal movie library is also available.Each unit shares a bathroom and is equipped with air conditioning. Free Internet, Non Smoking Rooms. 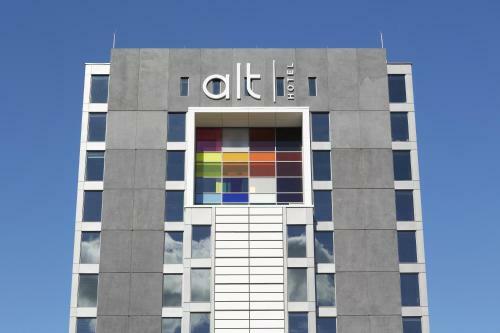 Ideally located in the Mississauga area Alt Hotel Toronto Airport promises a relaxing and wonderful visit. 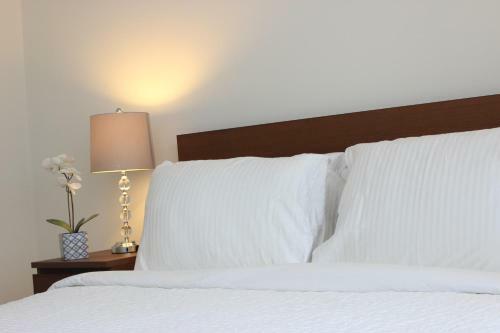 Offering a variety of facilities and services the property provides all you need for a good night's sleep. Free Internet, Pets Allowed, Non Smoking Rooms. 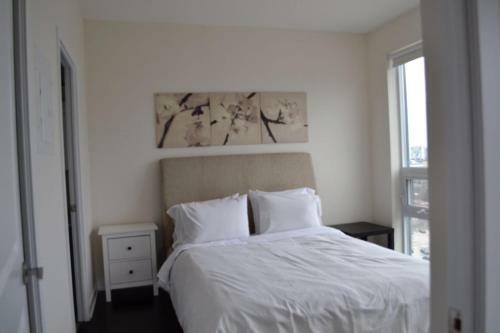 Apartment near Square One is situated in the middle of Mississauga just 8 km from Mississauga Convention Centre and 400 metres from Square One Shopping Centre. 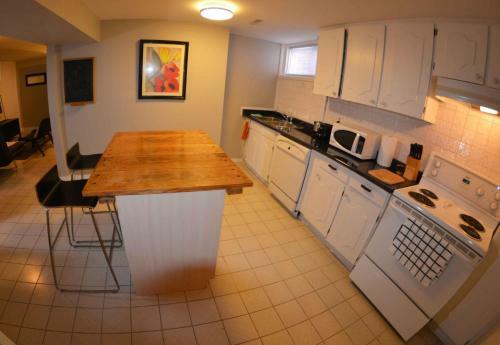 The apartment is 5 km from Hershey Centre.The apartment features a TV. The apartment also has a bathroom. 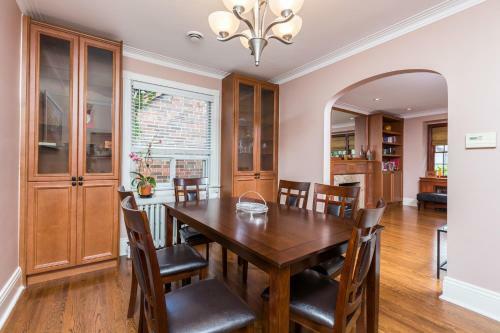 Set in Toronto within 8 km of BMO Field and 10 km of CN Tower Applewood Suites - Etobicoke offers accommodation with free WiFi seating area and a kitchen.All units are fitted with air conditioning a flat-screen TV washing machine and coffee machine. Non Smoking Rooms. Currently as low as $154.95/night! 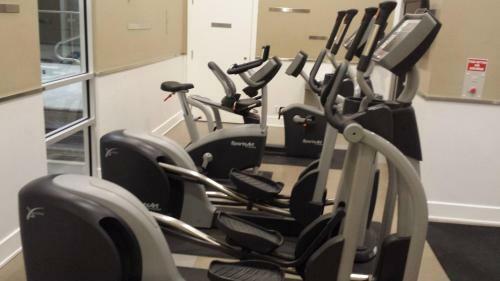 Situated in Toronto Applewood Suites - Royal York features free WiFi 7 km from BMO Field and 9 km from University of Toronto.There is also a kitchen in some of the units equipped with a dishwasher an oven and a microwave.Queens Park is 10 km from the apartment. Non Smoking Rooms. Currently as low as $63.84/night! 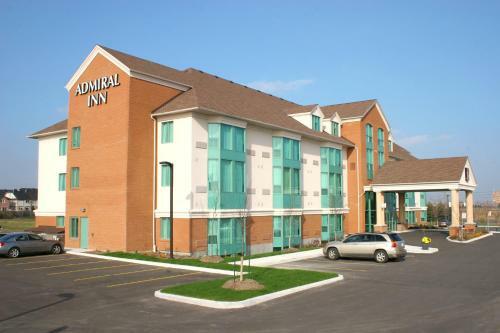 Located in downtown Orangeville Ontario this hotel is 1.7 km down the road from Theatre Orangeville Stage Productions. The motel features a front desk that is staffed 24 hours a day.Free Wi-Fi access and a flat-screen TV are part of every room at the Atlanta Motel. Free Internet. Currently as low as $154.17/night! Offering free WiFi and city views Atlantic Square Suites is an accommodation set in Mississauga just 900 metres from Square One Shopping Centre and 400 metres from Mississauga City Council. Offering free WiFi and city views Atlas Suites- Square One Mississauga provides accommodation situated in Mississauga just 900 metres from Square One Shopping Centre. 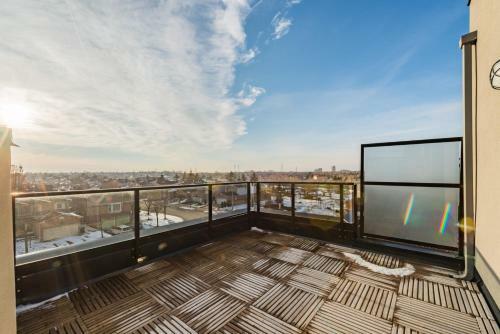 Guests staying at this apartment have access to a balcony. Free Internet, Indoor Pool, Non Smoking Rooms. 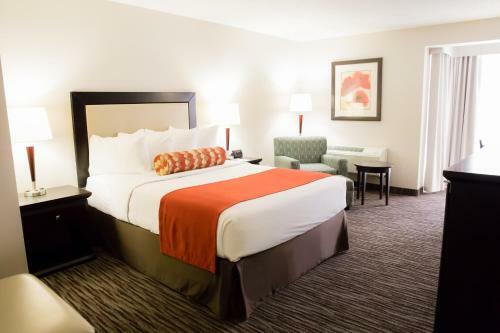 Situated in Mississauga 11 km from Mississauga Convention Centre Avenue Motel features air-conditioned rooms and free private parking.Every room includes a TV. 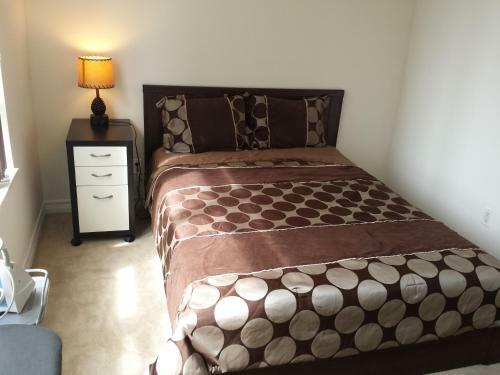 Each room is equipped with a private bathroom. Avenue Motel features free WiFi throughout the property. Free Internet, Non Smoking Rooms. Currently as low as $115.63/night! 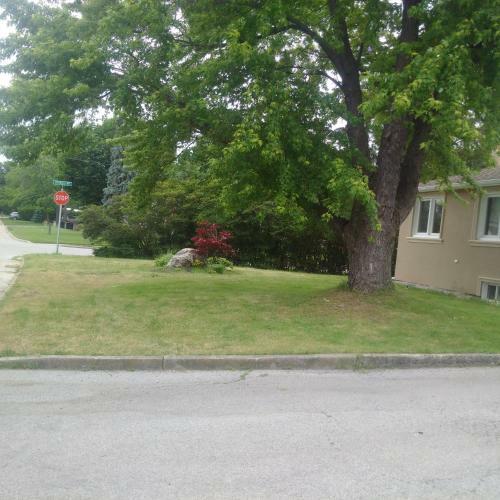 Located in Mississauga 6 km from Mississauga Convention Centre and 2.6 km from Square One Shopping Centre Beautiful 3 Bedroom 3 Bath in Central Mississauga/Toronto offers a garden and air conditioning. This holiday home offers accommodation with free WiFi. Non Smoking Rooms. Currently as low as $79.41/night! An indoor pool free breakfast and free Wi-Fi are part of the comfy stay at the non-smoking Best Western Plus Burlington Inn and Suites. This three-story hotel offers 78 rooms with free Wi-Fi cable TV coffeemakers and hairdryers. Free Internet, Swimming Pool, Indoor Pool, Non Smoking Rooms.